Tis' Award season once again and on the heels of the Golden Globes and the Oscars comes the International Council of Shopping Centers Awards. Sorry, no George Clooney. No Meryl Streep. Not even Stephen Baldwin. This year's top honor goes to Glendale. Glendale's Americana at Brand won the International Council of Shopping Centers' 2009 Gold Award for design in the United States, the mall's developer announced Tuesday. The ICSC's Global Design and Development Awards Program (not quite the same ring as 'the Globes') recognize the shopping center industry’s most outstanding examples of cutting-edge properties. The Americana, which includes residences above stores, was recognized for recreating a sense of community and street life in a mature downtown. The win means Americana at Brand will be one of three U.S. projects to advance to the international "Best of the Best" awards. 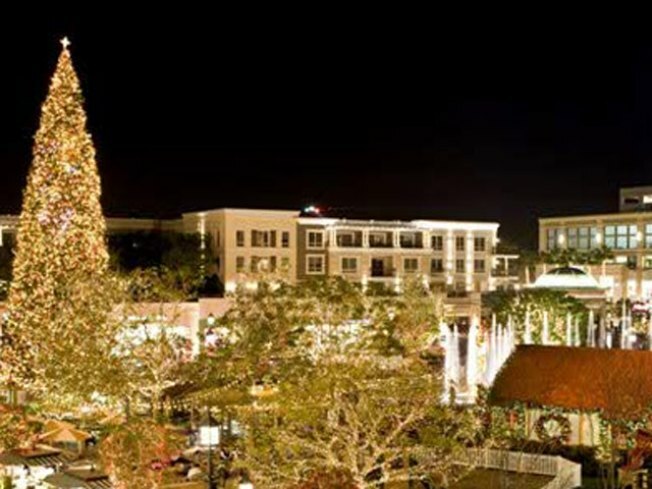 The ICSC award is the fourth for Caruso Affiliated, which also developed The Grove in Los Angeles' Fairfax District, the Waterside in Marina del Rey, The Promenade at Westlake, The Lakes at Thousand Oaks and The Commons at Calabasas.